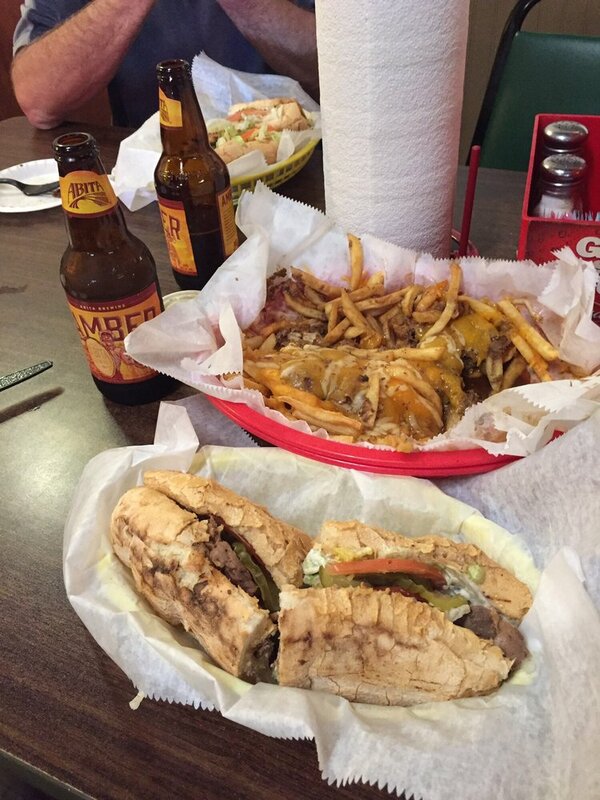 Enjoy an Abita Amber with a Roast Beef Poboy and our Gravy Cheese Fries. A sign made by our loving staff. Gravy Cheese Fries to Share!